The final issue of AMELIA COLE is out TODAY! Posted on June 29, 2016 by D.J. 4 years. 30 issues. The best creative times of my life so far. 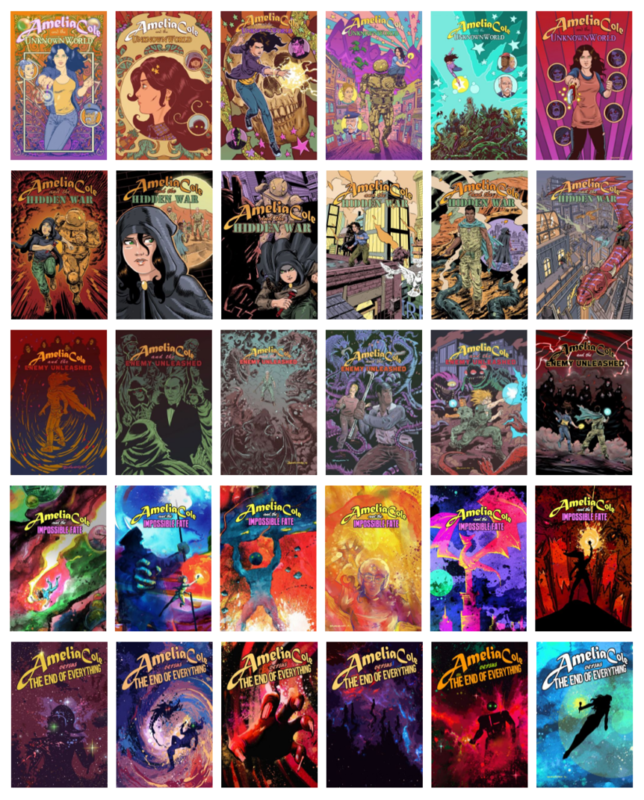 Thanks to all of our readers– and if you haven’t read it, all 30 issues are available on ComiXology. Posted on April 15, 2014 by D.J. 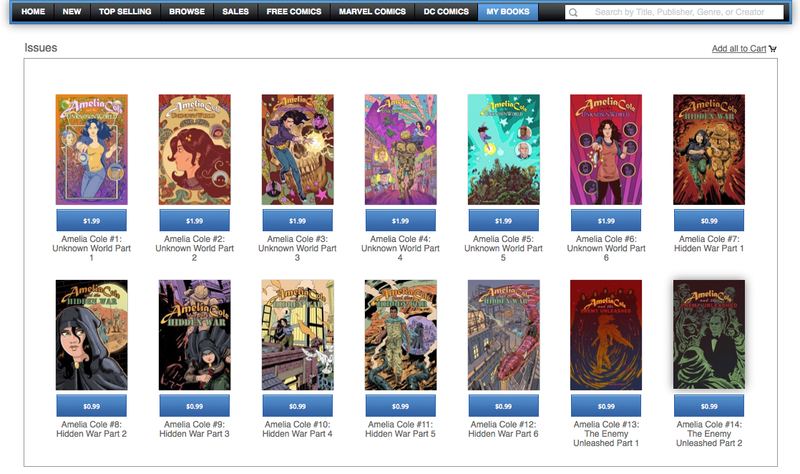 I just really love this screen grab from ComiXology. LONG BEACH COMIC-CON! NOV 23 & 24! HOORAY! Posted on November 15, 2013 by D.J. 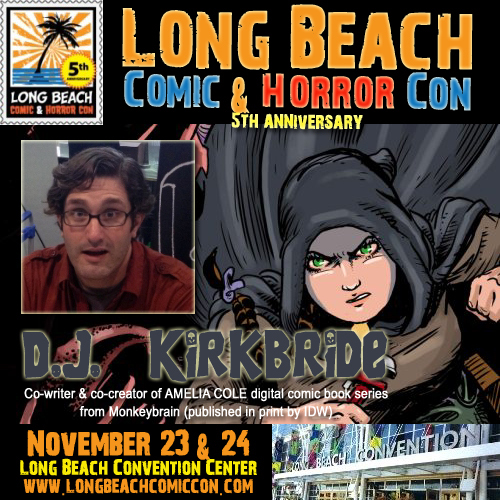 SoCal comic fans, check out the LONG BEACH COMIC & HORROR CON Saturday November 23 – Sunday November 24! It’s their 5th anniversary show, so loads of fun is sure to be had! Stop by table Booth #1307 to say hi and snag a copy of IDW Publishing‘s collection of my Monkeybrain Comics series AMELIA COLE AND THE UNKNOWN WORLD! 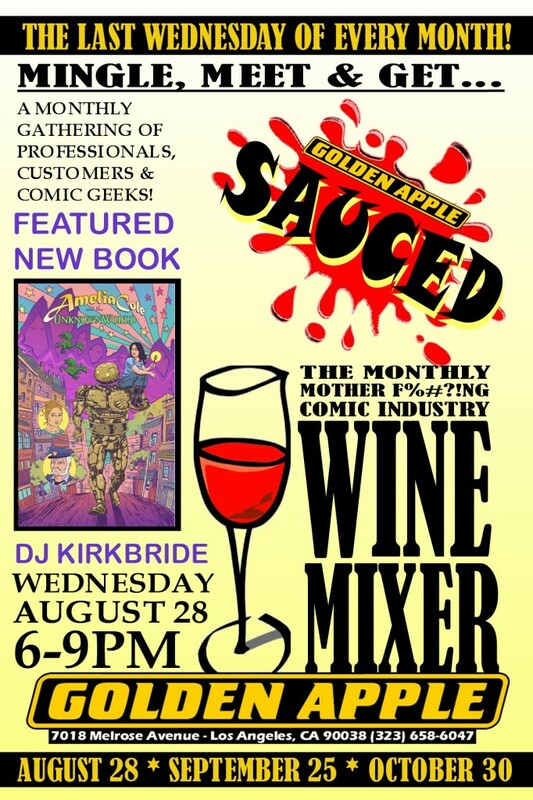 AMELIA COLE book signing at Golden Apple Comics! Posted on August 22, 2013 by D.J. Posted on July 10, 2013 by D.J. If you want the AMELIA COLE AND THE UNKNOWN WORLD trade paperback from IDW Publishing and Monkeybrain Comics, please be sure to preorder it from your local comic book shop. The code they’ll need, especially if they’re not familiar with the book, is JUN130412. The book is also available from Amazon.com, complete with a handy “Look Inside” preview.